A digital pressure gauge displays the acting pressure in an integrated digital display. 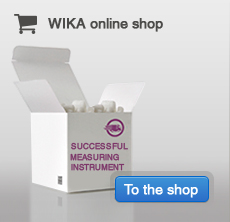 WIKA offers digital pressure gauges for general industrial applications and also for use in the field of testing and calibration. The indicator cases of our digital pressure gauges are rotatable if required and thus always ensure a good readability. In addition, intrinsically safe versions and instruments with wireless interface are available.